Interior designers are always looking for new and exciting materials that catch their eye. 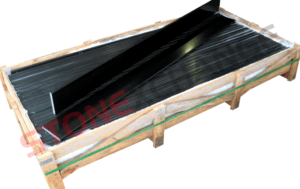 While you might not be able to predict all of the latest trends, Stonexchange makes sure to stock stone window sill products that never go out of fashion. We narrowed down our list to five stone and marble window sill styles that interior designers just love. If you keep these on hand, then you’ll always be sure to have some when the decorators and architects come knocking. 1) Crema Marfil is a type of natural marble that interior designs have long used as flooring tile, but it’s now become a choice material for window sills. Neutral cream tones can fit with nearly any decor, so Crema Marfil is finding its way into many different types of design. It goes every bit as well with vintage draperies as it does with thoroughly modern decorations. Some people who are refinishing existing rooms prefer Marfil windowsills because they pair well with most floor coverings made from the same material. 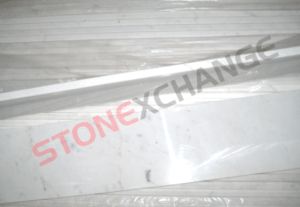 Wholesalers often need to have large quantities on hand because designers love this particular stone so much. 2) Euro Beige is a natural stone that has a slightly darker tone than many other cream-colored materials do. A shiny finish takes the edge off the color, however, which gives it a rather unique visual flavor. Minimalist room design is in, and that’s driving demand for this type of polished limestone. Stark modern rooms exude an air of professionalism, and this creamy material fits in rather nicely. 3) Engineered stone can be made to virtually any specification, yet designers haven’t been asking technicians to develop anything new. What they’ve been asking for is a material called Pure White Thasoz, which is completely white with no veins or imperfections. Since it’s synthetic, this stone features the bright look of a fresh piece of paper. That’s made it one of the top choices among those who work on high-end properties. 5) Carrara White is a natural form of marble that provides a white background with prominent gray veins. Interior designers love it because it’s so flexible. This natural color scheme most closely resembles what many consumers are looking for when they ask for a designer to include marble window sills in a room. Individuals working on projects calling for materials as diverse as Cherokee Marble and Oriental White Marble can substitute Carrara window sills without any difficulty. 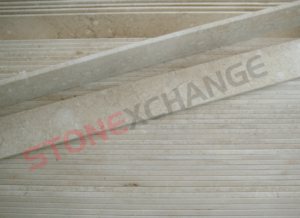 While Stonexchange manufactures, imports and distributes natural stone flooring and tile products, we specialize in window sills and thresholds. We have everything you need for your next project available at all times. Don’t wait for a design order to come in that calls for a type of material you don’t usually have on hand. Contact us online or call us at 305-731-2400 to speak to a marble and stone expert today.